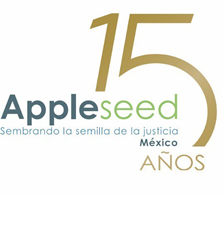 The Appleseed Mexico Foundation is an organization of civil society focused on building a social system where access to justice is equitable and universal, where its citizens have the same opportunities, and which power is exercised by a public interest. The Foundation offers legal services free of charge to Civil Society Organizations, as well as to sectors and social issues that represent a collective interest, with the sole purpose of achieving the greatest common good. The Foundation believes that one way to achieve long-term results is by working on the search for systemic change on high social impact issues, through legal research that offers recommendations and changes in public policy in order to achieve the greatest common good. Its work is possible thanks to pro bono work of the lawyers that are part of the Pro Bono Mexico Network. In addition, it is part of a network of 18 centers in the United States and Mexico in which the social problems of the communities are addressed to find practical and lasting solutions.